Files go is app by google for haring files offline like we share using blue-tooth. Its interface and speed is fast to share files so it can be useful for big files. 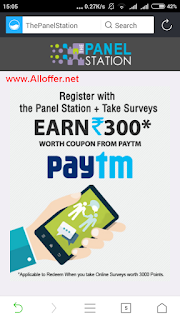 Paytm is giving 100% cashback upto Rs.300 to all user on movie ticket booking. Note:Book tickets fast because this offer will can be expire soon because of huge ticket booking using this code. Update: This coupon was available for all user by mistake now paytm do it correct and its valid only for few user[Account specific]. Must try it on your id. Fynd App is online store where you can buy fresh fashion products in lowest price. You can use 80% amount to buy anything from Fynd app on 20th Oct ( 12.01 am to 12.30 am only). Do not sleep on 19th Oct night before 12 mid-night to use 80% amount. Flipkart is giving recharge offers back to back for all user. Now its giving Rs.25 discount on Rs.26 or above recharge. Keep in mind for many operator Rs.26 is not a valid amount so do Rs.30 recharge.